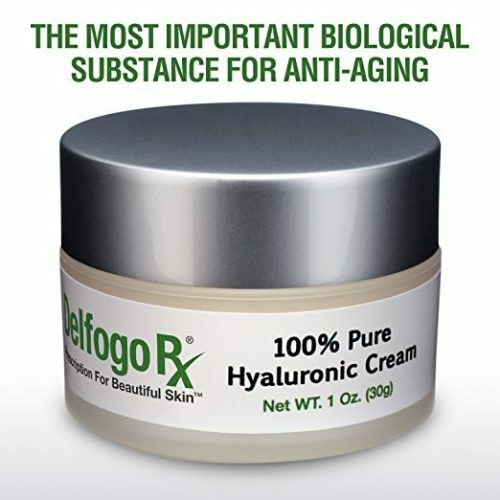 Developed by our team of cosmetic pharmacists in our FDA-registered facility, the Delfogo Rx 100% Pure Hyaluronic Acid Cream is the most potent product of its kind on the market. 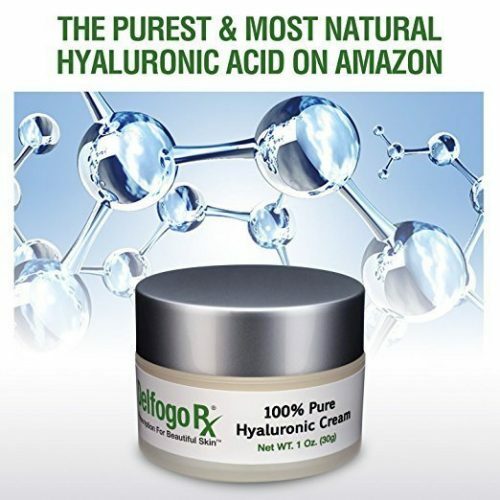 Using pure hyaluronic acid, a naturally occurring substance in the body that is proven to stimulate new cell growth, this cream is formulated for its anti-aging properties in its reduction of fine lines and wrinkles on the face, particularly around the eye and forehead area. 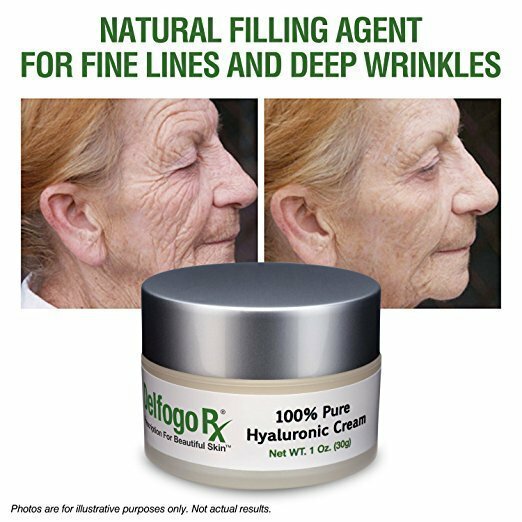 Users of this cream can expect to see a softening of the skin on the face, a reduction and “filling in” of wrinkles and fine lines, and an increase of moisture to make the skin look and feel healthier. The secret is in the ingredients with the key ingredient of hyaluronic acid, which acts to keep skin tissues supple and plump. 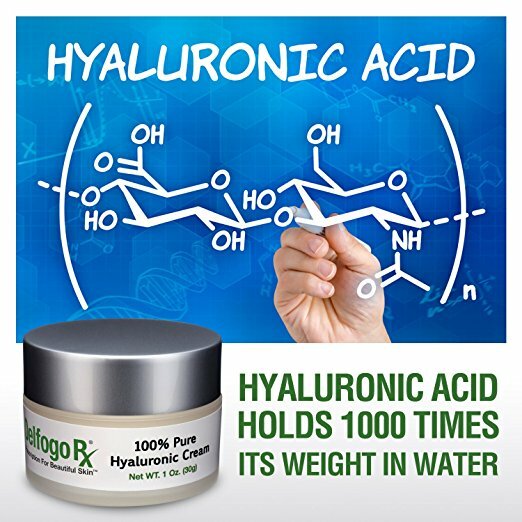 The body’s production of this acid reduces as you age, leading to saggy, loose skin that emerges as wrinkles at the skin’s surface. 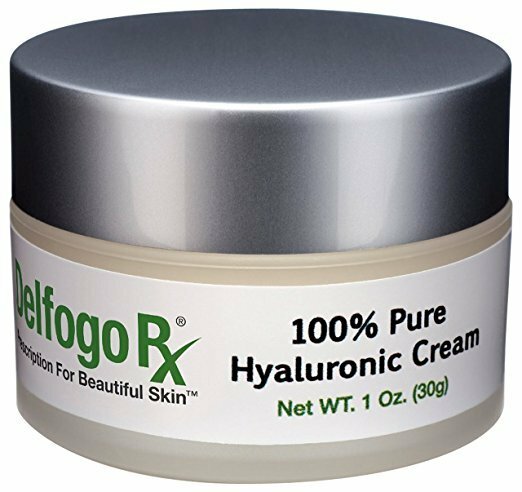 Daily use of this cream can help boost hydration to keep your skin looking young. Apply to thin layer of skin and allow to dry.